As dog owners, I'm sure you have tried and often failed to cut your pet's nails. Have you even gotten scratches from your Pet dog or cat right after clipping their nails the old fashion way with a clipper? Here's the easier alternative to clipping your dog's nails. 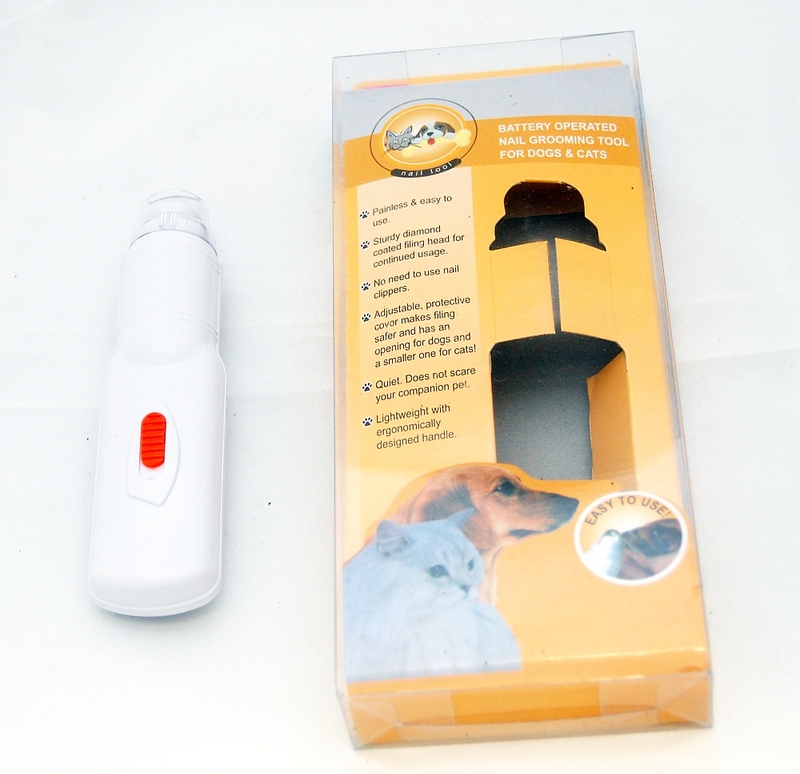 This safe and easy to use Pet electric nail grinder will make your pet & you happier with more free time for walks and other fun stuff. 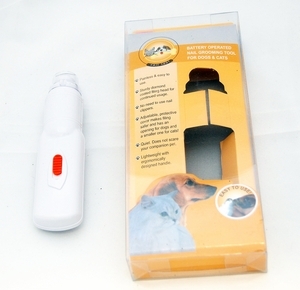 This automatic nail file is definitely the easier and safer way to keep your pet's nails trimmed and smooth. Its battery operated requiring only 2 widely available AA batteries.